Please see the photos below. Wedding cake delivery is available for a fee. We rent out cake stands for wedding cakes. To find out more, please call us. Buttercream flowers/decorations are offered in the cake price. If you'd like fresh or silk flowers, fruit, or other toppings on your cake, you are responsible for them. We are more than happy to decorate the cake for you, but you will need to bring us the toppings one day before the day of the wedding. We do require a 2 business day notice on all wedding cake orders. 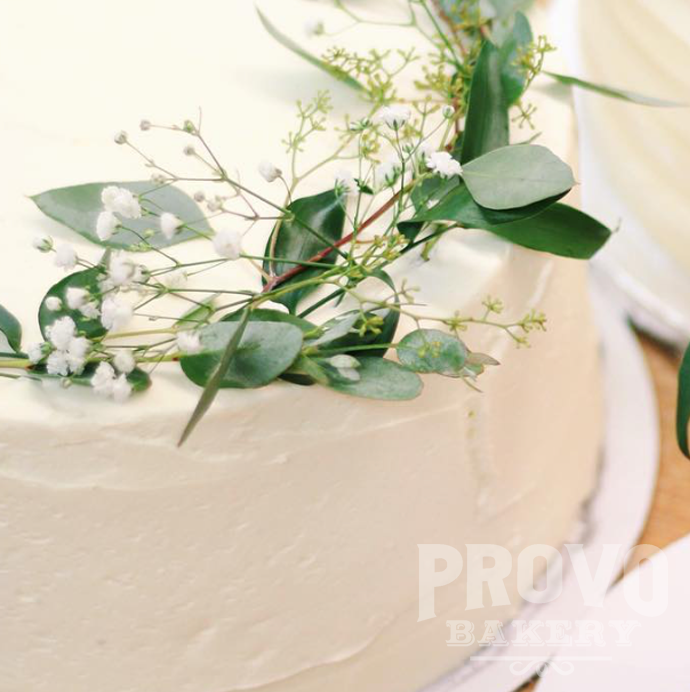 If you'd like to taste our cake, you can schedule a cake tasting for a $25 non-refundable fee. If you do place your wedding cake order with us, we will deduct $25 from your order. For further questions regarding wedding cakes or to send us a custom picture, please contact us. We will get back to you asap.